Dental care is just as important for pets as for people! Dental disease is an often overlooked cause of pain. We find that many older pets who are “acting old” start to play like puppies again after we address their dental infections. Did you know 80% of pets over three years old have dental disease? If your dog or cat has not had regular professional dental cleanings, please schedule an oral exam today! We will check him for signs of periodontal disease, gingivitis, and infected teeth. If any evidence of dental disease is seen on the physical exam, we will recommend a professional cleaning. 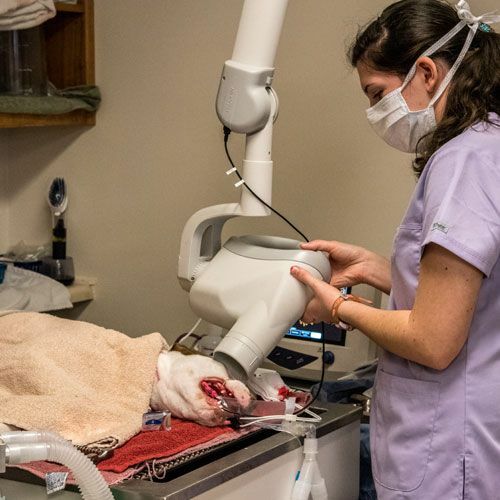 Our licensed veterinary technician will clean the teeth and under the gums with an ultrasonic scaler. Then Dr. Jordan will probe each tooth and examine dental radiographs to determine if any teeth are infected. Many teeth look fine from the outside, but the roots are infected. This can only be determined by probing and x-rays. If a tooth is infected, we will extract it. We have equipment for both simple extractions and dental surgery. After suturing the extraction sites, we polish all the teeth. 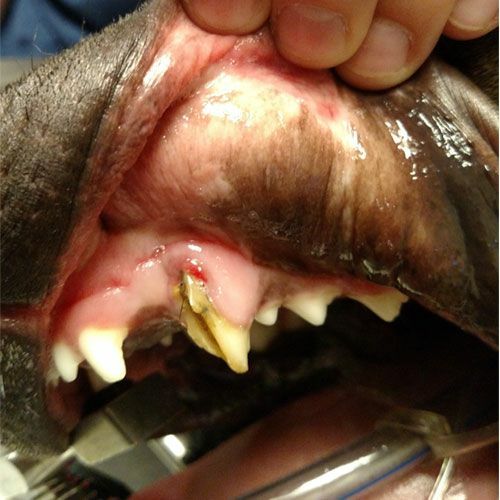 Once the bad teeth are removed, your dog or cat will feel 100% better! We are often asked if a pet is too old for dentistry. Almost never is a pet too old to have painful teeth treated. Dr. Jordan has safely done dentistry on pets up to twenty one years old. We use the safest anesthetics possible and tailor the drugs used to each pet. 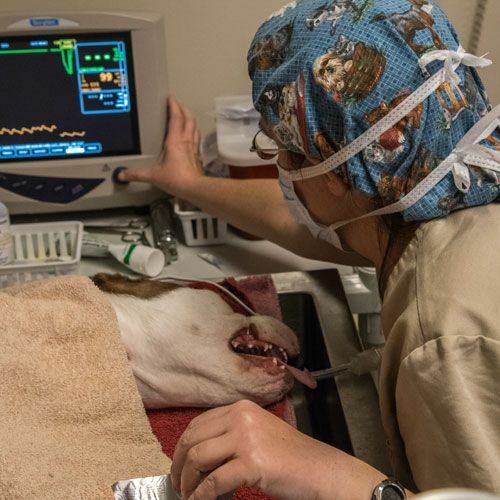 We have a dedicated veterinary assistant with your pet, monitoring all vital signs, from the time he is put under anesthesia until he is awake. Please don’t believe the myth that your pet has to suffer from untreated dental pain just because he is a certain age!